The Cultural Complex University (CCU) will travel to the Balkan Peninsula, to countries such as Serbia, Macedonia and Romania as of this July 12 to August 9, where the show will present traditions of Mexico, said Christopher Ramirez Macip, director of the group. The invitation to perform in these countries is that Christopher Ramirez Macip member since 1994 and currently secretary general for Central America of the International Folklore. This organization is a nongovernmental organization responsible for promoting art and culture as well as educate and bring peace through folk art. This body performs various festivals in the world and this time invited the Ballet Folklorico of CCU for to appear in the cities of Zrenjanin and Kopaonik, Serbia, in Skopje, Macedonia, and Devi, Romania. The dance and music festivals organized by the countries mentioned are called summer festivals, and international guests they have at least an artistic function every day and participating in parades Christopher Ramirez said the director. “The purpose of the festival is to promote worldwide the traditional culture of each country as well as preach the philosophy of education through art and dance for peace”, he said. 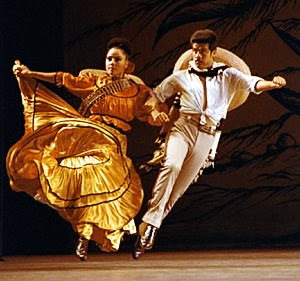 For this occasion presented the ballet traditions of Mexico, a show of traditional dances that integrates repertoires of national folklore as an attempt to show their wealth. Among the numbers presented are the dance of the Concheros, the dance of Negritos, syrups poblano, the dance of the Little Old Men, sones Huasteca and Jalisco, as well as dances of Veracruz. The dancers are traveling Andrea Alvarez Cervantes, Marleni Hernandez Briones, Maria Elena Santos Serrano, Victor Manuel Marquez Ramirez, Francisco Zuniga Alan Ampudia, Marisol Arenas Santiago, Juan Carlos Moreno Troncozo, Francisco Varela and Manuel Fernández Montes Hernandez.